José obtained his Ph.D. in 2000, University of Porto, in the group of Prof. JAN Ferreira Gomes. 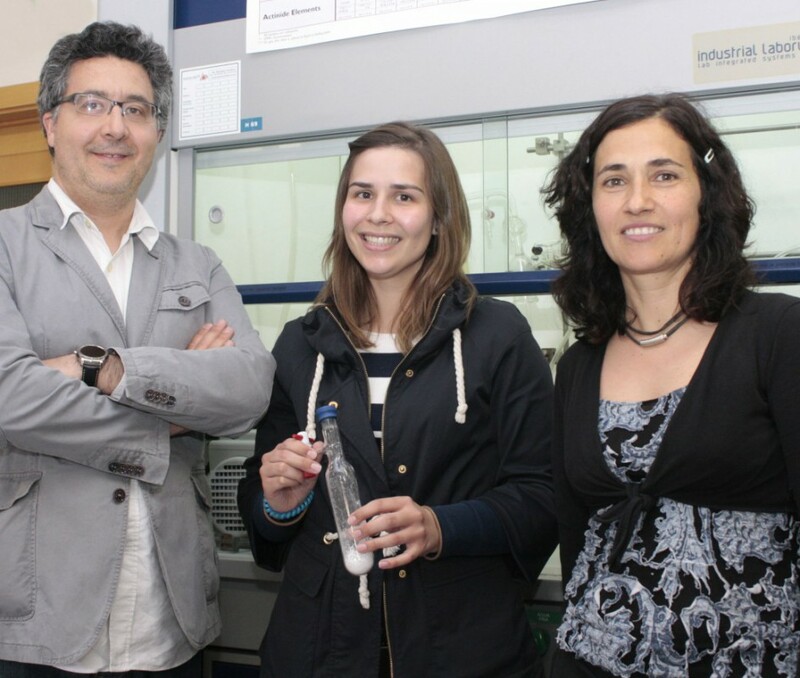 During 2000, José was a post-doc researcher in Barcelona (Faculty of Chemistry) under supervision of Prof. F. Illas. In the period 2001-2007, was a post-doc researcher, again at the University of Porto, but in the group of Prof. MAV Ribeiro da Silva. 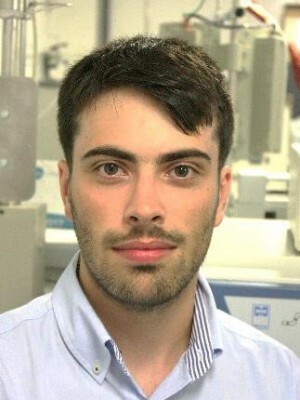 Since December 2007, José is a researcher at CICECO, University of Aveiro. José was contracted under the Ciência 2007 programme (2007-2012, Eq. Inv. Aux. ), then under laboratory funds (2012-mid 2013, Eq. Inv. Aux.) and recently under the Investigador FCT programme (mid 2013-..., Eq. Inv. Princ.). 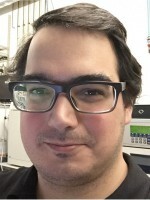 José is deeply interested in the application of computational chemistry to several different areas, such as, heterogeneous catalysis, materials science, surface science and physical organic chemistry. 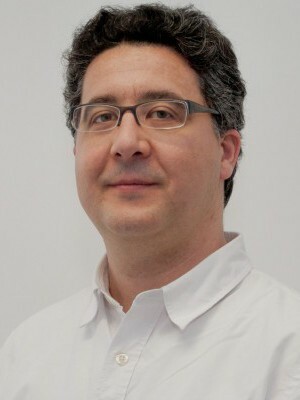 José got two prizes at the Faculty of Sciences, University of Porto (Teresa da Fonseca,1995, and Mendonça Monteiro, 1994) and has been awarded the 2010 Vicente de Seabra Medal by the Portuguese Chemical Society (SPQ). 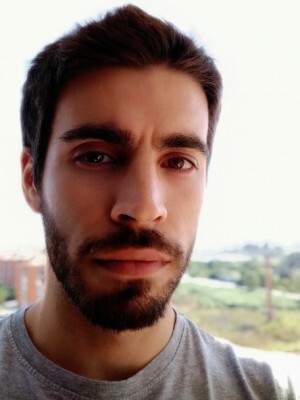 José is the coordinator of research line 4, computing and modelling. Aim: To use computers and computational methods in chemistry and in materials science. Reactions at Interfaces: Several different computational techniques (quantum mechanical (QM), molecular mechanics (MM), QM/MM, molecular dynamics (MD) or coarse-grained (CG) simulations, docking, 3D-QSAR, microkinetic modelling, ...) are being used to analyze the interactions and reactions of adsorbates (in gaseous or in solution) with materials or enzymes. The calculations are being used to interpret experimental results obtained for heterogeneous catalysis at pure metallic, bimetallic or metal supported surfaces, to design new compounds with capability to inhibit falcipains and to understand the templated condensation of silica in the synthesis of periodic mesoporous (organo)silicas (PMO or PMS materials). Adsorption of Gases in Porous Materials: Predictions of equilibrium adsorption and permeabilities for pure- and multi-components on porous materials (some synthesized at CICECO, e.g. PMO materials) are being obtained from grand canonical Monte Carlo (GCMC) and molecular dynamics (MD) simulations. The isotherms are compared with experimentally measured curves in order to improve the models. The idea is to find/optimize materials for gas separation (propane/propylene; CO2/CH4; ...). 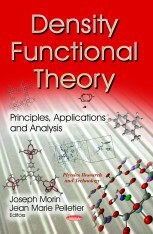 Density functional theory (DFT) is also being employed to analyze specific gas-substrate interactions. Interactions of Ionic Liquids with (Bio)organics: The liquid-liquid equilibrium and solubility behaviors of mixtures of ionic liquids and (bio)organic molecules are being analyzed by density functional theory (DFT) and by molecular dynamics (MD) simulations. These studies are being conducted in collaboration with experimental work (nuclear magnetic resonance shifts, density measurements, excess volumes, etc.) performed at CICECO. The computational techniques are being employed to analyze which are the preferred interactions between the constituting species. Team member of project Delivery vehicles of therapeutic gasotransmitters NO and H2S based on nanoporous materials (Fundação para a Ciência e a Tecnologia, ref. PTDC/MED-QUI/28721/2017, de 01-10-2018 a 30-09-2021). Co-principal Investigator of project DataCor - Smart Data to Design Corrosion Inhibitors (Compete 2020, ref. PTDC/QUI-QFI/30256/2017, from July 16, 2018 to July 15, 2021). Principal Investigator of project SILVIA - Modeling the synthesis of silica materials via multiscale computer simulations (Programa Operacional Centro 2020, ref. PTDC/QUI-QFI/31002/2017, from June 1, 2018 to May 31, 2021). Team member of project UNIRCELL - Unitised regenerative fuel cell for efficient renewable energy supply: from materials to device (FCT-COMPETE / Programas de Atividades Conjuntas do Portugal 2020, ref. POCI-01-0145-FEDER-016422, from January 1, 2017 to December 31, 2019). Team member of project TUBITAK - Phase transitions and ferroelectricity in self-assembled peptides nanotubes (Fundação para a Ciência e a Tecnologia, ref. 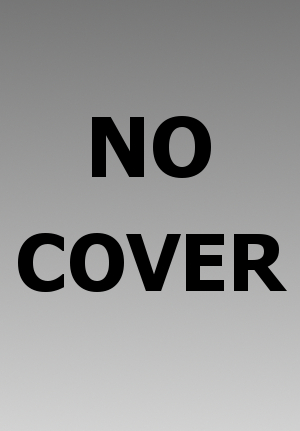 TUBITAK/0006/2014, from October 1, 2016 to September 30, 2019). Principal Investigator of project SELMA - Unveiling the self-healing mechanisms associated with smart nanocontainers (Fundação para a Ciência e a Tecnologia, ref. PTDC/QEQ-QFI/4719/2014, from June 1, 2019 to May 31, 2019). Team member of project Variable pressure solid-state NMR methods to study gas-surface interactions in nanoporous sorbent materials for industrial post/pre-combustion CO2 capture (Fundação para a Ciência e a Tecnologia, ref. PTDC/QEQ-QAN/6373/2014, from February 01, 2016 to January 31, 2019). Team member of project SUSPHOTOSOLUTIONS - Soluções Fotovoltaicas Sustentáveis (Programa Operacional Centro 2020, ref. CENTRO-01-0145-FEDER-000005). 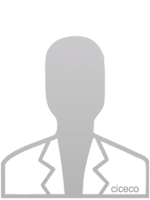 Team member of project SGH - Smart Green Homes (Sistema de Incentivos à I&D Empresarial, ref. POCI-01-0247-FEDER-007678). -PTDC/QUI-QUI/117439/2010: CODECAT - Computational Design of New Catalysts for the Water Gas Shift Reaction (Principal Investigator). 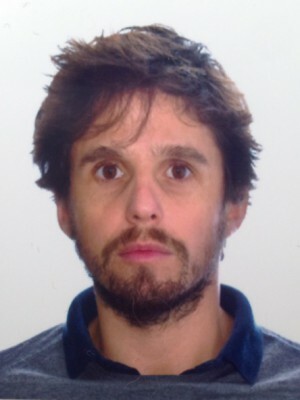 Rui Vieira Afonso (Portugal) – co-supervision with Dr. Luís Mafra, Aveiro. Post-doc in the framework of project SGH - Smart Green Homes (POCI-01-0247-FEDER-007678). DFT calculations on the interaction of small molecules with solid sorbents. Tiago Luís Pereira Galvão (Portugal) – co-supervision with Dr. João Tedim, Aveiro. Post-doc in the framework of project SELMA (PTDC/QEQ-QFI/4719/2014). DFT analysis of the structure and stability of corrosion inhibitors incorporated in layered-double hydroxides. 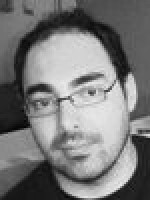 José Luis Cagide Fajín (Spain) - co-supervision with Prof. Dr. Natália Cordeiro, Porto. FCT grants refs. SFRH/BPD/27167/2006 and SFRH/BPD/64566/2009. 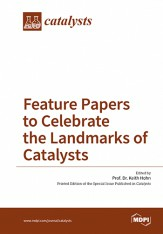 DFT studies of heterogeneous catalytic reactions. Daniel Muñoz Gil (Spain) – co-supervision with Dr. Filipe Figueiredo, Aveiro. Post-doc in the framework of project Unircell (SAICTPAC/0032/2015). Understanding of the hydration mechanism of ZIF-8 derivatives. 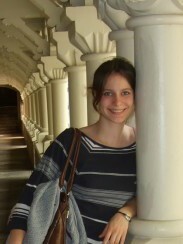 Manon Wilhelm (France) – co-supervision with Dr. João Tedim, Aveiro. DFT studies towards the design of novel electrocatalysts for the water splitting. Mehriban Aliyeva (Azerbaijan) – co-supervision with Prof. Dr. João Coutinho, Aveiro. 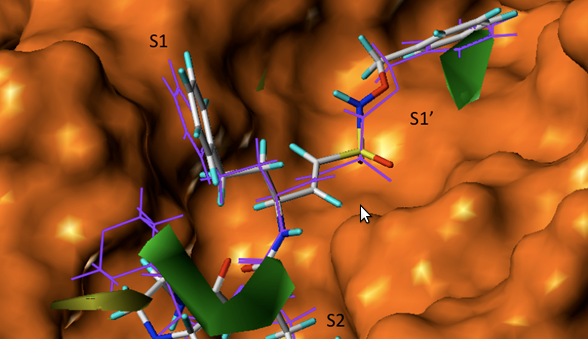 Molecular dynamics simulations of protein fragments in aqueous solutions. 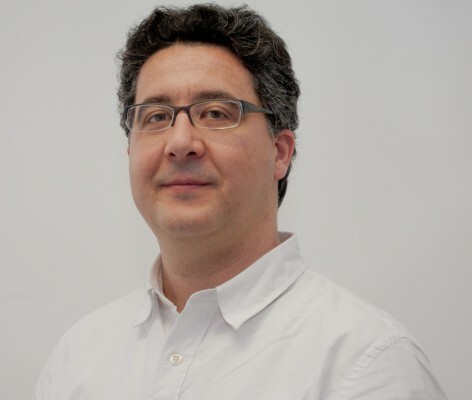 Bruno Zêzere (Portugal) – co-supervision with Prof. Dr. Carlos Silva, Aveiro. Molecular dynamics simulations of the diffusion coefficients of bioactive compounds in supercritical fluids and liquids. 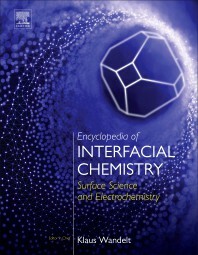 - "Introdução à Química I", Licenciaturas de Física, de Física e Tecnologia dos Materiais e de Optoelectrónica e Lasers, Faculdade de Ciências da Universidade do Porto (experimental laboratory classes, 1 semester). - "Tecnologias de Informação e Comunicação", Licenciatura in Chemistry, Faculdade de Ciências da Universidade do Porto (computational laboratory classes, 1 semester). - "Energia e Organização em Sistemas Biológicos", Licenciatura in Biochemistry, Faculdade de Ciências da Universidade do Porto (computational laboratory classes, 1 semester). - Seminar (4h) “Aplicação da Química Computacional em Estudos Termoquímicos”, Licenciatura in Chemistry, Faculdade de Ciências da Universidade do Porto. Co-authored the guide "Termoquímica: Aulas práticas (disciplina de opção do 3º ano da Licenciatura em Química)" by Maria das Dores M. C. Ribeiro da Silva and Luís M. N. B. F. Santos, José R. B. Gomes, Departamento de Química, Faculdade de Ciências da Universidade do Porto, 2005. - "Bioinformática e Estrutura Molecular", Licenciaturas in Biochemistry and in Biotechnology (lectures and computational laboratory classes, 1 semester). - "Elementos de Química Física", 1st year students of Licenciaturas and Integrated Masters at the Universidade de Aveiro (experimental laboratory classes, 1 semester). - "Química Geral", 1st year students of Licenciaturas and Integrated Masters at the Universidade de Aveiro (experimental laboratory classes, 1 semester). - "Laboratórios de Química Física / Química Orgânica", 3rd year students of of Licenciaturas and Integrated Masters of the Department of Chemistry at the Universidade de Aveiro (experimental laboratory classes, 1 semester). 2018, MOLECULAR SIMULATION, 44, 6, 435-452. 2018, APPLIED CLAY SCIENCE, 166, 339-339. 2018, JOURNAL OF PHYSICAL CHEMISTRY LETTERS, 9, 12, 3544-3553. 2017, JOURNAL OF CHEMICAL THERMODYNAMICS, 106, 168-177. 2017, APPLIED CATALYSIS B-ENVIRONMENTAL, 218, 199-207. 2017, PHYSICAL CHEMISTRY CHEMICAL PHYSICS, 19, 29, 19188-19195. 2017, JOURNAL OF PHYSICAL CHEMISTRY C, 121, 1, 441-458. 2017, PHYSICAL CHEMISTRY CHEMICAL PHYSICS, 19, 3, 2487-2494. 2017, JOURNAL OF THE AMERICAN CHEMICAL SOCIETY, 139, 1, 389-408.